IL-2 Forgotten Battles is an all new flight simulation game that has taken the world by storm and after playing the game for many hours I can see why it is so popular. The game has innovative graphical content that really does make the whole flight process seem so much more realistic and very playable. I cannot recommend this game enough to any fan of this genre of game. 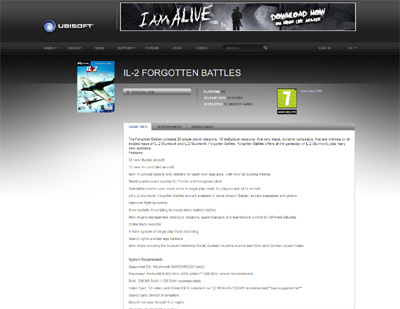 We have also compiled a Review System for this, of which IL-2 Forgotten Battles is Rated as Four Stars, the highest possible score available from the Game Review Team.